1. Rub the red pepper and sweet potato with the coconut oil, season with salt and pepper and roast at 190°C for 30-40 minutes. 2. Allow the peppers and sweet potato to cool slightly. Once cool place all ingredients into a Nutribullet or jug blender and blend until smooth. 3. Add a little water if you find the sauce is too thick and season to taste. Note: I know you are seeing a lot of sweet potato in my recipes :). 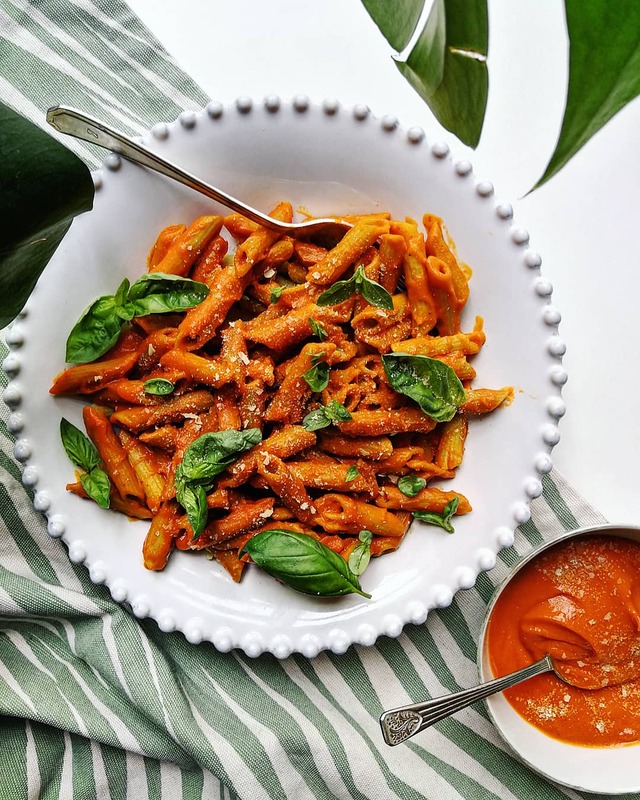 for this recipe, you actually don’t need the sweet potato at all, I add it to bulk the sauce, so that it is more cost effective and can go a little further. if you are on a Keto diet or maybe you just don’t need the extra carbs, than go without it. The flavour will be quite a bit more intense, for obvious reasons, so you can use a little less and lighten it with a splash of olive oil or even add a little purified water to the peppers when you blitz them OR keep them whole? ?